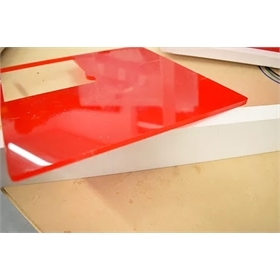 PVC plank edges + acrylic door won't rot! 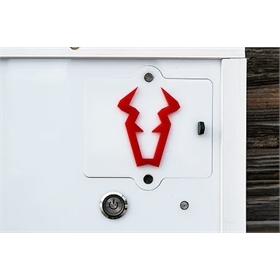 This door was introduced to the world on Kickstarter by a cattle farmer from Montana. Having grown up on farms and ranches, the owners of this company know what it means to build something strong and lasting – and their automatic chicken doors offer more features than most other doors, too! 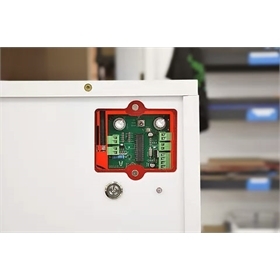 An operation system that includes a geared DC motor and a leadscrew to guarantee opening and closing; and it will power its way through ice, snow, debris, or any other blockage to ensure that the door closes. 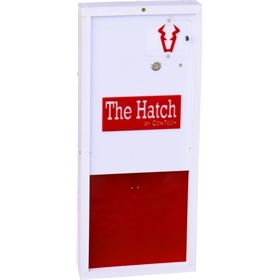 Door closes with over 40 pounds of force, so even the craftiest of predators can't pry it open or lift it up. Via light sensor so you don't have to adjust your open/shut settings with changing daylight conditions. "No hen left behind" system gives chicken stragglers a second chance to come indoors before the door closes for the night. 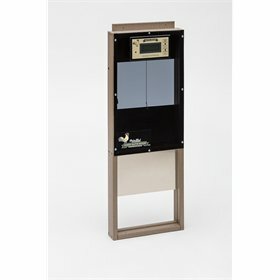 An LED-backlit control panel so you can see what you're doing in the darkness! 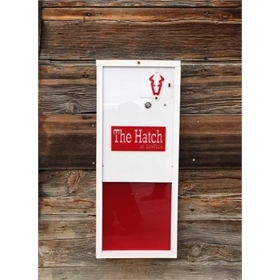 The Hatch is built to last with 3/4" PVC plank for the door frame so it won't chip, fade, or peel, and extremely durable 3/16" Plexiglas® Acrylic for the front, back, and door. 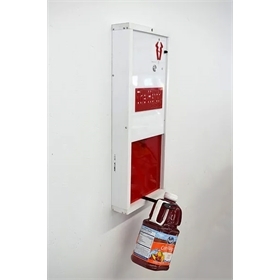 The doors operate with a standard 110v wall receptacle, drawing less than 1/4 watt of power. The electric cord is 6' long and can be extended with an extension cord if need be. 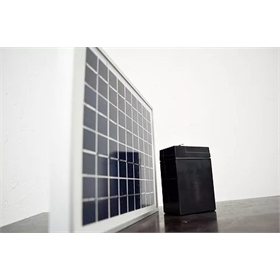 Or you can order the optional solar kit which includes a 3W solar panel and 4.5Ah 6V battery. The cord from the solar panel to the battery is 16' long. When using solar, the door will continue to operate for up to 14 days without a bit of sunlight to recharge the system.